The home of Send Me a Christmas Tree is Sussex Trees, where we sell real, homegrown Christmas Trees. Based at Goddenwick Farm in West Sussex, we have 200,000 trees growing over 2 sites. 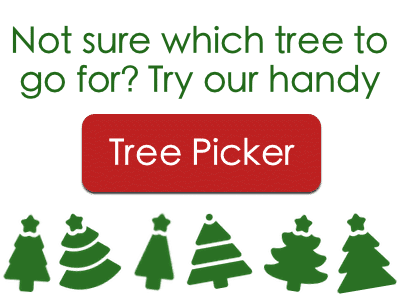 We believe that choosing a tree is one of the key events of the Christmas holiday. Our family-run business aims to make the experience as festive as possible, pulling out all the stops to make the beginning of the festive season a real experience for the whole family. 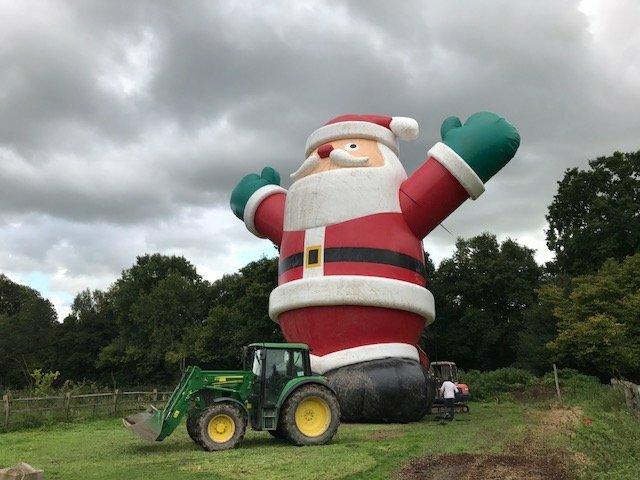 This year we are hosting the biggest inflatable Father Christmas in Britain! Kick off the festive season by taking the family to Sussex Trees to choose your very own tree, and have it ready to take home the same day, or get it delivered. During your visit to Goddenwick Farm you can see the alpacas, pygmy goats, donkeys and even Santa’s very own reindeer. Not forgetting the big man himself, Santa Claus. 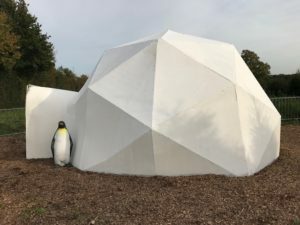 NEW this year and the only one in Sussex is our fabulous “Igloo” where the kids can meet Santa Claus. All of this also helps support a great cause: The National Brain Appeal. The National Brain Appeal raises funds for The National Hospital for Neurology and Neurosurgery, Queen Square – one of the world’s leading centres for the diagnosis, treatment and care of patients with neurological and neuromuscular conditions. These include stroke, multiple sclerosis (MS), brain cancer, epilepsy, Parkinson’s disease, and dementia.